Did you know that cats are more likely to threaten dogs if they live in one house? That’s why friendly relationships between these animals depend more on the cats than on the dogs. And our article totally confirms this fact! 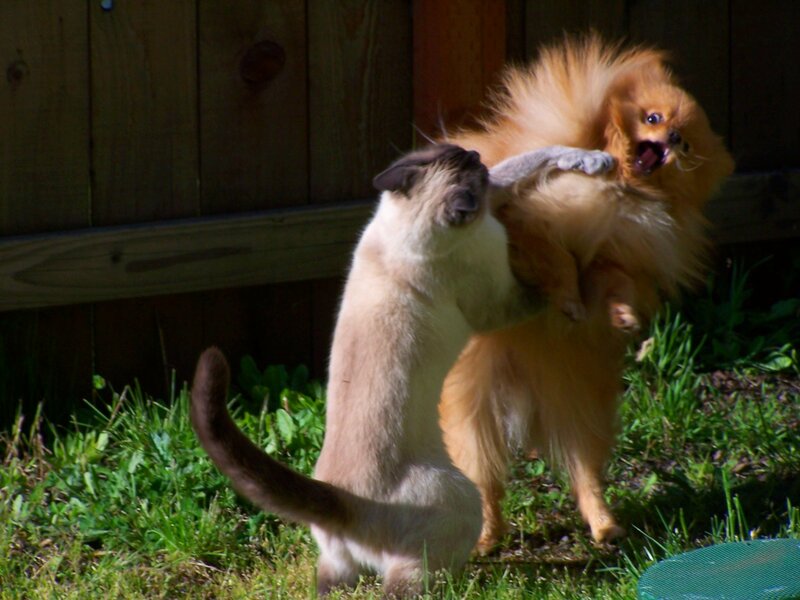 Bright Side has collected photos of dogs and cats that will prove to you that there’s nothing more dangerous than a cat in a bad mood! 2. I have no time to explain, just help me. 3. If I don’t see it, it won’t see me. 4. Are you a dog? I will deck you with one punch. 7. Feed me now or I’ll end him. 15. I asked you to leave me alone! 16. Is this a trap? 17. Don’t do that! Life is beautiful! We’ve got so much to discover. 19. Our new сat doesn’t play well with the dog. 20. My tooth hurts. Please check it! 21. I think this cat is up to no good. 22. Please, just let me go! Do you have a cat and a dog living together? How do they get along? Share your photos and stories with us in the comments section below!